Are you in search for the perfect gift for someone you love? They say love is something you do, not something you say. So why don't you do something this year about your less than ideal gift-giving abilities. In this class, you will be creating and designing your very own fused glass pendants, the perfect gift to show someone you care. 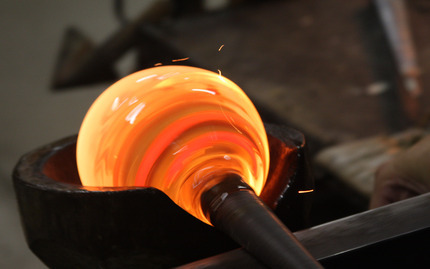 No experience is necessary in this class as you will learn a number of different glassblowing techniques, including the basics of cutting, firing and coldworking. So if you're in search for the perfect gift to give, look no further. The gift is in you, just make it! Cathi was so fantastic! I had a jewelry concept in mind and she walked me through what it would take to create it, she's truly an authentic artist who works masterfully with this craft. 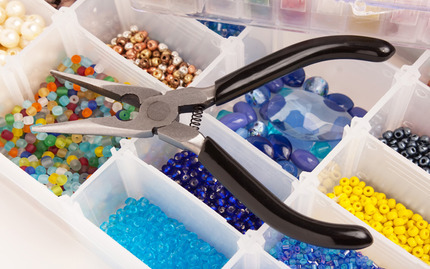 Her shop is that of a genuine glass worker and her knowledge in this area is unparalleled. She has a bright spirit and you can't help but feel like you're in the right hands when you come to this shop or when you come to her. I seriously can't thank her enough for what she's helped me with, her advice was/is invaluable and I extremely appreciate her taking time out of her day to see me. The Glass Studio has no equal! Great glass class, supplies, tools, gallery, kilns, teacher and people. Terrific studio with everything you need and beautiful and safe and comfy to work in.